An ambitious city centre apartment block – launched in the post-recession gloom – is now fully occupied. The Hive residential development, overlooking the proposed Curzon Street station in Eastside, reached the milestone two years after launching to the market. The development, which represents the second phase of the £600 million mixed-use Masshouse scheme, has a total of 167 studio, one and two bedroom apartments over 14 storeys. Following a rise in consumer demand, Hive’s original collection of apartments was bolstered with the inclusion of a second phase of one bedroom units developed by repurposing an unused retail unit on the building’s ground floor. John Moffat, director at developer Nikal, said the building had proven popular with both buy-to-let investors and owner occupiers. He said: “The adverse economic conditions have made this an exceedingly difficult market over the last two years, however I am absolutely delighted that we have now sold all of the apartments on site. Nikal is now looking to build on the success of Hive and is drawing up plans for a number of apartments to be built on an unoccupied part of the site. 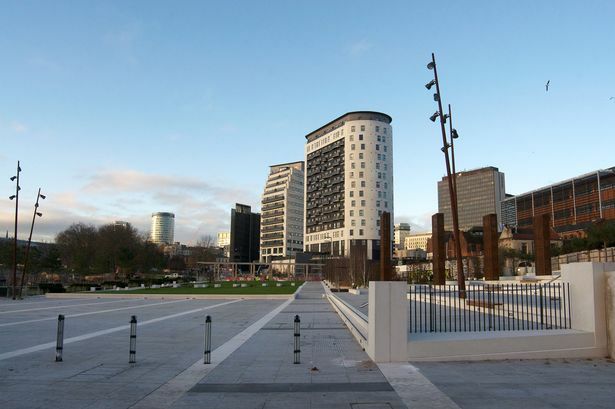 Formed in 2003 to pursue major regeneration and redevelopment opportunities across the UK, Nikal is continuing to explore opportunities within Birmingham city centre and has received planning permission to bring forward the second phase of the mixed-use Masshouse scheme, Exchange Square, on the plot of land adjacent to Masshouse Plaza. Flexible outline consent has already been received for 760,000 sq ft of mixed use space, encompassing residential, commercial and retail uses.